The 900 colorimeter is a rugged, waterproof, single parameter instrument for the measurement of Total chlorine or Free chlorine. 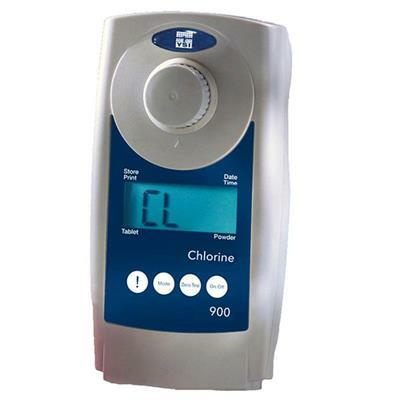 Whether you need to measure chlorine in wastewater, chlorine in groundwater, or in pools, this chlorine tester is waterproof with an easy to read display and will provide readings in minutes. Already measuring chlorine? Receive 20 free packets of DPD Free Chlorine or DPD Total Chlorine! Get your free samples. You might also be interested in learning more about our trade in program currently going on (U.S. only). Or, if you prefer to buy from one of our dealers, take advantage of our rebate program! The instrument features a real time clock, automatic data logging as well as the ability to export data to a PC or printer using the 900 Series Data Hub for infrared data transfer. You can rely on the accuracy and reliability of YSI 900. Includes 100 powder packs of each (Free and Total chlorine). Start getting chlorine results today. The 900 includes hard-sided carrying case with compartments for the instrument, accessories, reagents, and more. 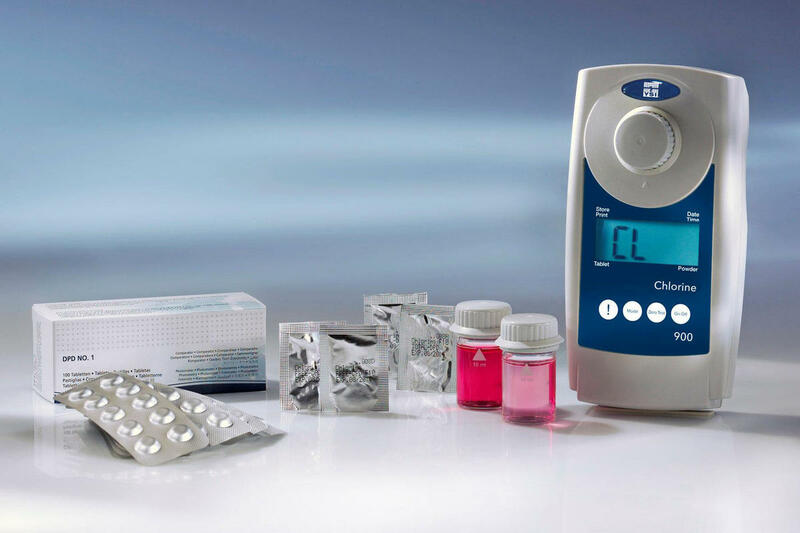 If you are interested in measuring multiple parameters or COD only, then you may be interested in the YSI pHotoFlex colorimeters or the YSI 910 COD.